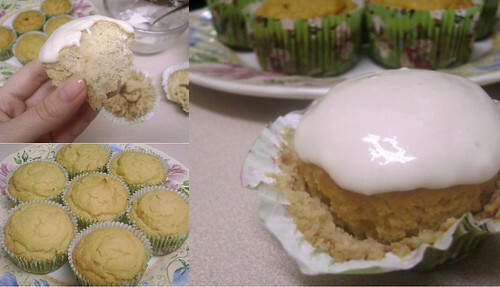 For my first ever venture into any group food blogging event/group, I made these lemon cupcakes as my entry for March’s Go Ahead Honey, It’s Gluten-Free event, hosted by Amy Green of Simply Sugar and Gluten Free. This month’s theme is guiltless pleasures. Before I continue, I’m still gushing over the photo montage above! It was created by my sister (her blog is the co-run Chaos of LCD & Kenkaniff). I did the photography and designed the layout, but she’s the one who did the work of putting it together for me. Thank you, sister! These cupcakes are very quick and easy to make, especially if you use a food processor or other kitchen appliance for the egg yolks and whites. 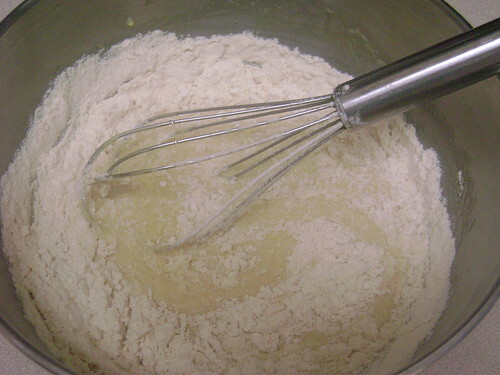 The batter can also be used to make a cake, which I have done before. They’re light and fluffy, with a pleasant lemony flavour. I will update this post with a photo(s) of the cake, or upload it to Flickr, at another time. I was running short on time, so I couldn’t make the frosting I’d originally intended to make. Instead, I made a vegetarian/vegan, non-dairy cream cheese frosting using Tofutti’s Better Than Cream Cheese, honey to taste, and flavoured it with 1/2 teaspoon of vanilla extract. Aside from the vanilla, I didn’t measure the ingredients for the frosting so that is why I am not including a precise recipe for it this time. If it wasn’t for the cupcakes, I would’ve eaten it by the spoonful! Preheat oven to 350ºF. Line a standard muffin tin with paper cupcake liners or a 9-inch cake pan with parchment paper. Beat egg yolks until it reaches the ribbon stage. (The ribbon stage is when a visible trail is left behind before merging back into the beaten yolks. See following video below for demonstration.) Mix in honey and lemon curd, until just mixed. 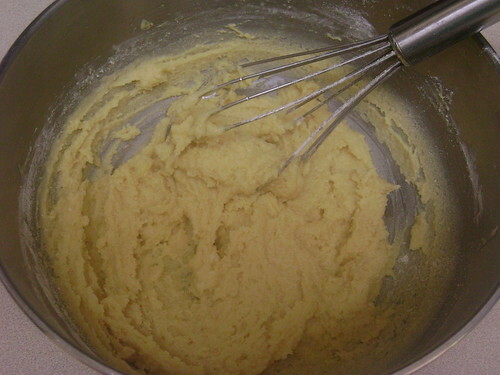 Add the lemon extract, vanilla extract, coconut flour, and baking soda. 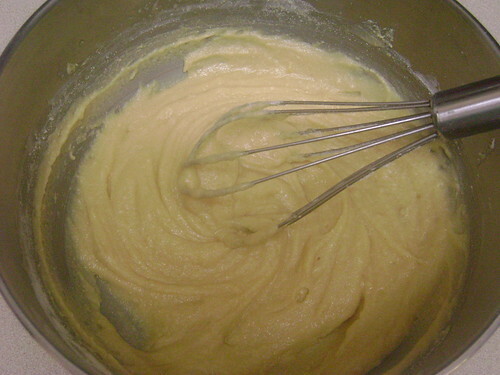 Separately, beat the egg whites with the salt and lemon juice until stiff peaks form. Fold the stiff whites into the batter, being careful not to deflate them. 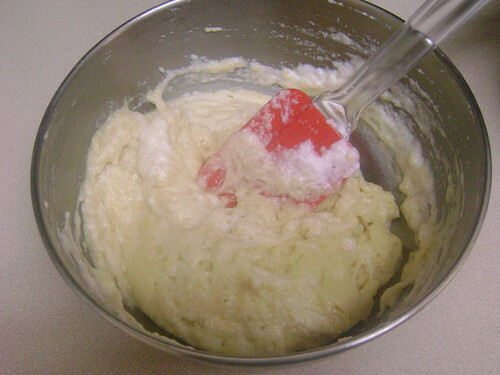 Pour the batter into the prepared muffin tin or cake pan. If making cupcakes, fill each cup about halfway full. Bake 30 minutes, or until the surface springs back. The cupcakes or cake may be frosted or just eaten as is. Enjoy! Also known as sabayon stage. I love your post, Z! Thanks so much for sharing it with everyone at Go Ahead Honey! So glad you decided to join in. Thanks, Amy! It was a pleasure to participate and I’m looking forward to the round-up. Beautiful cupcakes, love the bright flavor of the lemon curd! They look delicious! I love anything lemon flavored. This sounds so luciuos!! Drizzled with raspberry or strawberry glaze….yumm. Hey, I had never visited your site before. I am always thrilled to find another SCD site! This made my day. Just a little FYI: if you see any Google Adsense or other ads in this post and any other posts on this blog, WordPress.com places them there. I do not get paid for those ads. Hi Z! Love your recipes, they’ve been a big help the past 6 months as I learn to cook SCD for my husband who has UC. Was looking to try the recipe above but your link for lemon curd no longer works… could you advise how I would make lemon curd? It’s really easy and doesn’t rely on any dairy, such as butter, although you may use some coconut milk to take the edge off and smooth out the lemon’s tang, if your husband can tolerate the coconut milk. Good luck!